Immigration lawyers think that the visa program that allows certain categories of H-4 spouses to work legally in the US is in jeopardy a result of Trump administration’s immigration reforms. The Obama-administration in 2015 made spouses of H-1B applicants, waiting for their green card approval, eligible to work in the US, giving a sigh of relief to thousands of talented spouses who couldn’t legally work. H-4 visa is a dependent visa that is issued by the USCIS to immediate family members, which include spouse and children less than 21 years of age of the H-1B visa holders. Considering that Indian Americans are the biggest beneficiaries of H-1B visa program that allows skilled foreign labors to legally work in the US, the latest move of the Trump administration will render thousands of H4-depended Indians jobless. 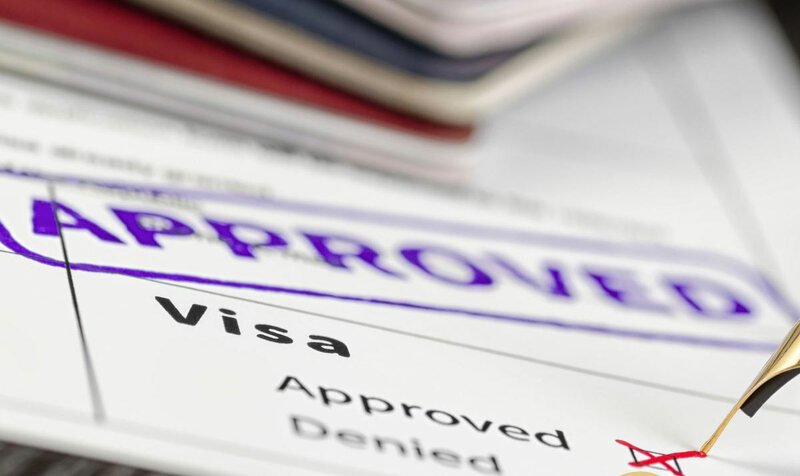 The latest update on H-4 visa program from the Department of Homeland Security (DHS) has caused an escalation of the worries of H-4-visa holders as the federal agency said it is all set to do away with the rule that permits H-4 dependents to work in the US. Since the time Trump announced his ‘Buy American, Hire American’ executive order, the immigration attorneys were warning about an impending reversal of the H-4 work permit. The Trump administration has been attacking the H4 EAD program accusing it of taking away jobs from Americans. Even though there is no material evidence to prove the claim, it was evident from the recent attack that the H-4 EAD program had a bleak future. “If the Trump Administration wishes to alter or completely dismantle the H-4 EAD program, it very likely would have to go through the regulatory process,” saidMuthry Law Firm in November. In addition to making changes in the H-4 EAD program, the DHS is also mulling of making some significant amendments to the H-1B visa program, which was one of the key agendas of Trump’s Executive Order. It is believed that the DHS will revisit the job categories eligible for obtaining H-1B visa in what it says is a move that will increase the focus on getting the best and brightest foreign workforce to work in the US. Since Obama Administration allowed work permit for H-4-visa holders, the program has been facing lawsuits accusing it of taking away the opportunities of American workers by employing foreign workers for lower wages. Save Jobs USA, a group of former employees of Southern California Edison, filed a lawsuit against DHS but it lacked legal standing and was dismissed by the trial. The group has now moved to the US Court of Appeals for the District of Columbia Circuit but immigration lawyers believe there is little chance that they will be successful. Since Trump administration came to power, talks about overhauling H1B visa program had intensified causing panic among Indians who account for 70 percent of total H-1B recipients.